REPORTING4WORK is a Brisbane-based editorial, education and communication business run by seasoned production journalist, trainer/educator, researcher and communication consultant Trina McLellan (who holds a Bachelor of Business Communication-Journalism, Master of Arts by Research-Journalism). Trina has worked 15+ years as a journalist in busy metropolitan newsrooms in both Queensland and Victoria. She also worked as a corporate communication consultant and manager for more than 10 years and has extensive academic and workplace teaching and training experience. Trina has a long-standing reputation for creating clean, effective content across multiple news and communication platforms. Utilising industry-standard software and systems, Trina has delivered top-quality news and communication content, as well as training, for some of the country’s top businesses, public sector departments and entities, universities, community groups and small businesses. She spent eight years as a senior production journalist, sub-editing print, online and iPad content in breaking, daily and weekly news environments for a wide range of News Limited publications from that busy national news organisation’s Brisbane office. These included Courier-Mail Online, AdelaideNow (Adelaide Advertiser’s website), Courier-Mail/Sunday Mail iPad Edition, Adelaide Advertiser/The Sunday Mail’s iPad Edition, The Courier-Mail, The Sunday Mail, Gold Coast Bulletin, Townsville Bulletin, Cairns Post, Quest Newspapers and Gold Coast Publications. In this role, Trina developed and assisted in the delivery of newsroom integration training and conceived, designed and launched the (SharePoint-based) NewsCentral Intranet as well as an online, searchable Style wiki for use by News Limited staff across the nation. She received a number of commendations for her contributions to the company as it began transforming to meet the challenges of a rapidly changing marketplace. Earlier in her career she worked for seven years as a reporter and sub-editor with Melbourne newspapers The Herald, The Sun, The Sunday Press and Business Daily as well as production editor at Brisbane’s Business Queensland and, initially after graduation, as a reporter and sub-editor at Sunshine Coast Daily and The Sunday Sun. As a communication consultant, Trina has written keynote speeches for blue-chip company executives, state and federal ministers as well as departmental heads. She has devised and executed communication strategies, promotional plans and communication audits. Trina has trained executives, company representatives, academics and community groups in working with the media. Her consultancy clients spanned telecommunications, health, technology, manufacturing, public and higher education sectors. Her corporate communication work has included media liaison, strategic and crisis communication, media awareness training as well as event management and promotion. Trina has consulted on state, national and international initiatives as well as publicised high-profile private, public and higher education sector services. She has also won audit quality awards for production of public sector annual reports, successfully handled and promoted high-profile corporate and community events, and has revamped/upgraded a number of important business and news periodicals. Over three decades, Trina has not only designed, edited, desktop published and delivered publications for clients and employers – she has also specified and directly overseen the production of millions of dollars worth of printed materials for clients and employers. This has included flyers, newsletters, posters, pamphlets, booklets, executive reports, green and white papers as well as promotional documents through to mass-market daily, weekly, quarterly, annual and special-purpose news and information publications. Trina has learned and extensively utilised large content management systems and is familiar with html coding, applying SEO (search engine optimisation) strategies as well as utilising social media to achieve specific communication objectives. Over the past 15+ years, Trina has been involved as an educator in tertiary journalism and communication courses, mostly on a part-time basis. She designed, delivered and updated undergraduate and postgraduate journalism and communication courses full-time for three of those years. Trina was responsible for forging cross-disciplinary education links in an innovative education program for the University of Queensland. In more recent times, she has presented – by invitation – specialist, research- and practice-based guest lectures at two Brisbane universities. 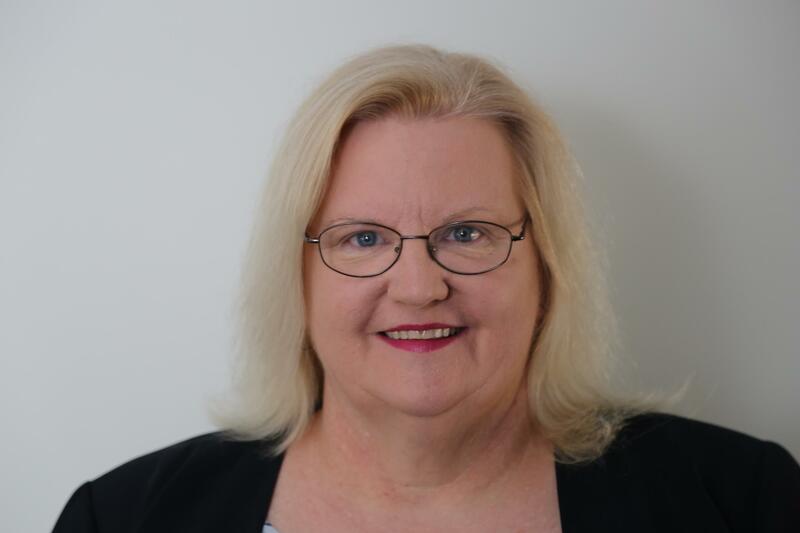 For six years she edited corporate periodicals and managed media liaison for one of the country’s largest universities, the Queensland University of Technology. Over the past two decades, Trina’s research interests have centred on (a) the interface between journalists and victims/survivors of traumatic incidents, (b) surviving the challenges of reporting crises and disasters, (c) the language and readability of journalism and (d) the impact of technology on the craft of journalism. She served as a foundation board member on the Dart Australasia Centre for Journalism and Trauma (now Dart Centre for Journalism and Trauma Asia-Pacific) from 2004-2009. Recently she co-authored an innovative online interactive disaster reporting course for remote delivery in developing nations on behalf of a global communication body, drawing on her own groundbreaking journalism research, industry awareness and workplace expertise. In 2013, Trina began writing the reporting4work blog and has previously written a local nature blog. Trina is married to award-winning freelance photographer Peter Bull, who runs his own business, PBull-Media. They have an adult daughter who had the sense to train for a career in the health sector.